W. Bro Steve Lloyd, the Organist of Thornton & Cleveleys Lodge (3854), was delighted to win the Innsworth Lodge Halloween Goody Box in the Lodge charity fundraising Chorley Auction on 20th October this year. 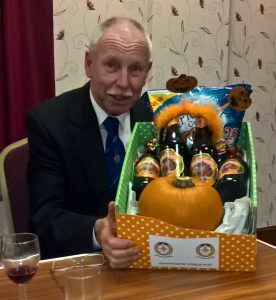 Eight Past-Masters of Innsworth Lodge made the sixth annual visit to Thornton & Cleveleys Lodge (3854), and the Innsworth Lodge Charity Steward handed over the Goody Box to his opposite number to swell the cache of auction prizes. As always, the visitors were greeted and hosted warmly in the land of Rock and Pies, and thoroughly enjoyed the excellent ritual and hospitality. Appropriately, the Festive Board included apple pie, and the lovely lasses who served this delighted the visitors with the advice that, “an apple pie without cheese, is like a hug without a squeeze”. 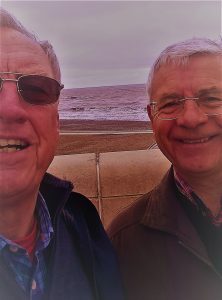 The Lodge was represented by: W Bros Brian Ashworth, Bill Beedie, Ron Brooke, Bob Coombes, John Lewis, John Keeble-Buckle, Tom Robson and Paddy Ryan. 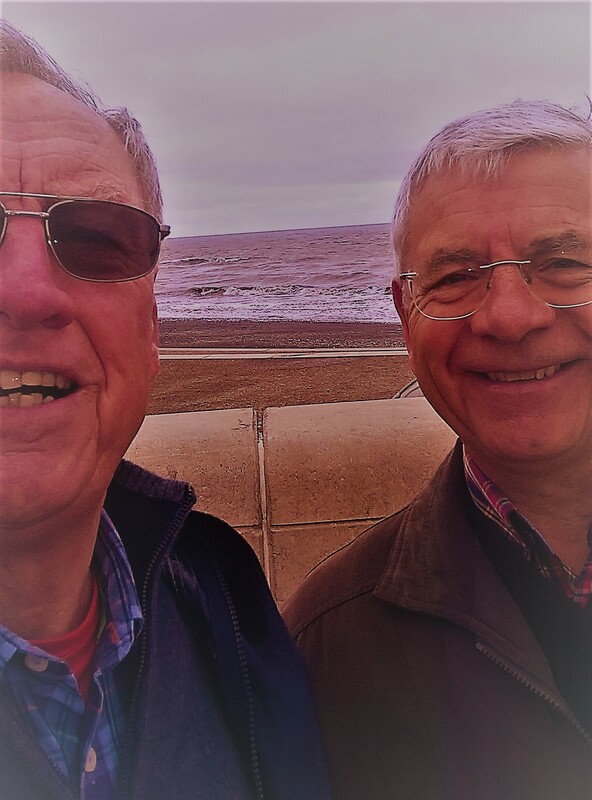 The only two who arrived in time to enjoy an ice cream by the seaside appear below.